Thieves often target apartment buildings that have substandard security measures in place. A team of criminals can effectively loot several properties in under an hour, with less risk of exposing themselves to nearby traffic. While the apartment units themselves may have high security locks installed, the entrance to the communal lobby may be left with a simple pin and tumbler lock that’s easy to bypass with lock picking tools. In such cases, it can leave the manager’s office vulnerable to break in overnight or on the weekend, and can put the property owner at risk for lawsuits for property loss and personal injury if a tenant suffers due to negligence. At QuickPro Locksmith, we provide a wide range of residential and commercial locksmith services in Atlanta, Dunwoody, Smyrna, Decatur, Norcross, Brookhaven and other surrounding metro area neighborhoods. Thankfully, there are many solutions available for property owners who wish to secure their apartment buildings and communal properties from break ins and vandalism. Here are a few tips for choosing a system that will work best for your needs. The first step is to choose a high quality, secure door that won’t go down easily when brute force is applied. Doors made of steel are a popular choice because of their incredible strength and their ability to withstand years of harsh weather conditions. Basic pin and tumbler locks should be avoided because of their ability to be forcibly opened with lock picking tools and bump keys. Popular alternatives include manual keypads, key fobs and magnetic swipe cards. These systems allow the property manager to provide unique “keys” to individual tenants, without exposing the building to the general public after hours. It’s also a good idea to install security systems with alarms and surveillance. Doing so provides a deterrent for criminals who will want to avoid the risk of being caught, and it will provide law enforcement officers and insurance companies with evidence of the crime. This can help police identify the perpetrator and make property loss claims more efficient. Having cameras in place at various locations throughout the building can also prevent internal theft from tenants who have access to the common areas of the property. Many locksmith companies prefer to avoid taking service calls after normal business hours. 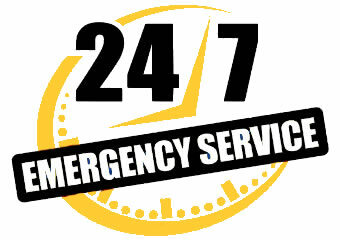 Unfortunately, a lot of lock and key emergencies occur at night or on the weekend. At QuickPro Locksmith, we always put our customer’s needs first. That’s why we offer our residential and commercial services 24 hours a day, 7 days a week. If you live in Atlanta, Georgia or a nearby service area, give our experts a call and we’ll be on our way, no matter what time it is. Are you ready to upgrade the security of your apartment or condo building? Then get help from the experts at QuickPro Locksmith right away. Our team of highly trained, experienced mobile locksmiths provide a variety of important residential and commercial services including high security lock and door installations, access control system installation, lock repairs and replacements, 24 hour lockout assistance and more. Call our office today for more information or to schedule a convenient appointment.